Perfect mother. Perfect wife. Jane Goodwin has spent years building her picture-perfect life in the quiet town of Ashdon. So when the girl next door, sixteen-year-old Clare Edwards, is found murdered, Jane knows she must first protect her family. 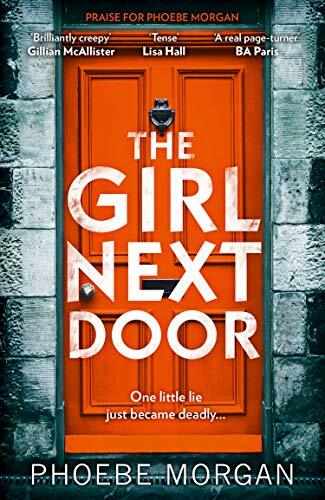 THE GIRL NEXT DOOR was my chosen holiday read; I certainly made the right call! Once I began reading, the strong writing and vivid, well-developed characters got me quickly invested in the story. In addition, the twisty, clever plotting kept me turning the pages until way past bedtime. I raced through, finding this a pacy and gripping book, with a chilling conclusion that I did not anticipate! Highly recommended for fans of well-written, pacy psychological thrillers.